Emergency responders need to rapidly provide professional incident command and tactical dispatchers on-site, at the incident. 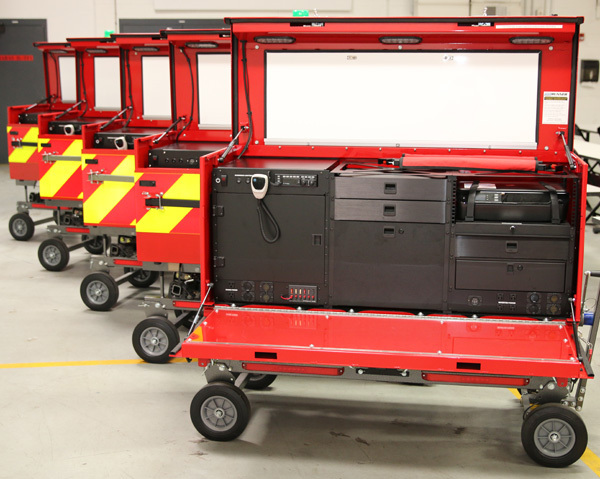 The PodRunner® platform enables quick response and extends the range of most departments. Pump-Runner™ can respond immediately to move large volumes of water, saving structures, assets and lives. It can serve rural settings as a quick deploy water source for firefighting. Its fast deployment ability and stand-alone operating capability allows the movement of water at high rates to safely avoid property loss, utility disruptions or swift evacuation of sub-surface flooding. From filling fire tankers to de-watering basements or utility vaults, Pump-Runner™ is ready to perform. Give us a call with all your questions about PodRunner®, we are eager to discuss how to customize a solution for your specific needs: (888) 427-3728. Or send us a message and we’ll get back to you within one business day.